My experience with My Disney Experience. I work in IT so I do a lot of work on computers (I basically live on one at work), so it is natural to go on line and work with managing my account on the DVC Members web site, and now with my reservation integration with My Disney Experience. I have felt right "at home" using the site. Disney has allowed making reservations on line for years. You can go on line and book your room, tickets, and purchase Disney Dining Plan. It has only been fairly recently that Disney Vacation Club members could do the same thing by booking with their Vacation Points. My Disney Experience has put all the capability of managing your resort reservations together with your dining reservations and integrated it with a iPhone app. 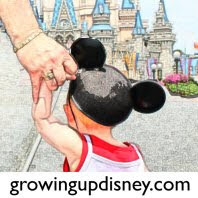 You can invite others to use My Disney Experience to "plan" along with you. 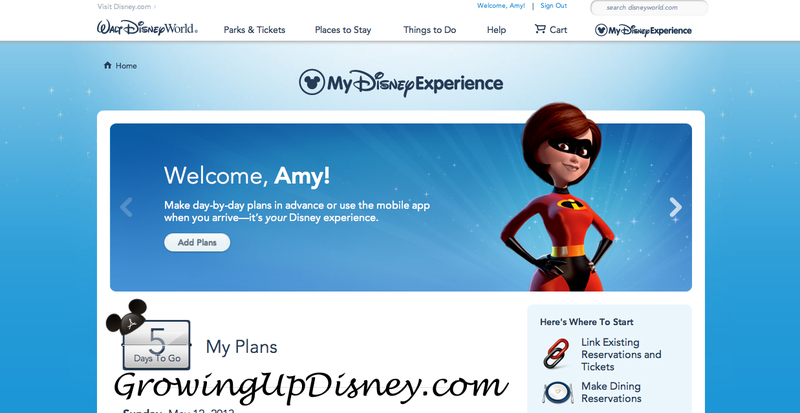 Amy and I have used our shared My Disney Experience to make dining reservations for our trip. We have put events and activities on our shared calenders and added notes. So far everything has worked well as we have planned our trip while we are over 600 miles apart. The integration between the web version and the iPhone app have proved to be pretty seamless. There are differences in how they work and display data but both do pretty much the same thing. Dining reservation made on one, show immediately on the other. So as we have been doing our planning everything shows on My Disney Experience. With our trip approaching it is time to do Online Check-In. It is now available 60 days out from the start of your reservation. This past week I did my check-in. My Disney Experience handles this too. Online Check-in allows you to go ahead and handle everything you would do at the Front Desk ahead of time. Resort check-in becomes a quick process (once you stand in line to get to the desk). I did my check-in on my pc. I don't know if you can do the same thing on an iPhone. Amy decided to cancel one of the character breakfasts she had booked. When she canceled it, it was removed from My Disney Experience. 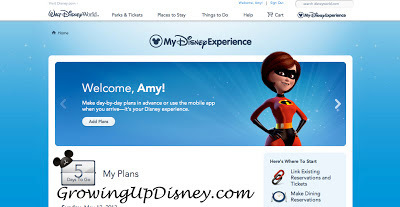 My Disney Experience has been a nice tool to work with Amy on planning our trip next week. Have you done any of your trip planning on MDE? If so let us know what you think about it. I have used this and hope Disney can start integrating the rest of the sites to this like TREX dining and Bibby Bobbity Boutique, as I have them as notes, but I do have a reservation. So far working well for me. The phone app is a pain, but have enjoyed the website.